Three Complete Trilobites and sea plant on this plate !!!! Two are reverse showing under sides and the other a top view! 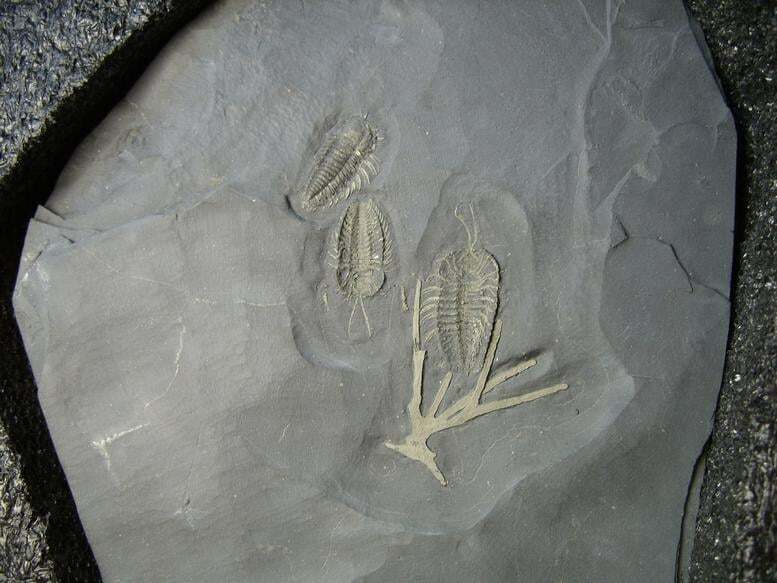 YES – We all know trilobites had legs and antennae, but have you ever seen them ? 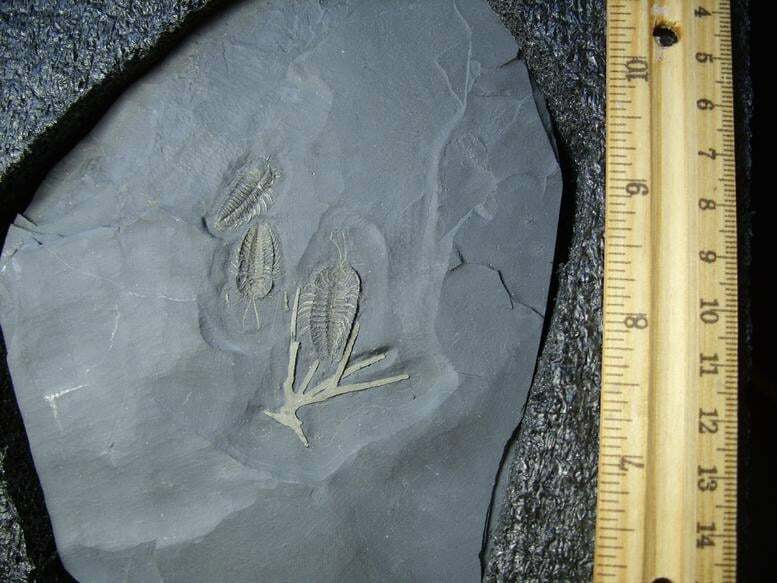 These are excellent pyritized specimens that show in clear detail the legs and the antennae !! 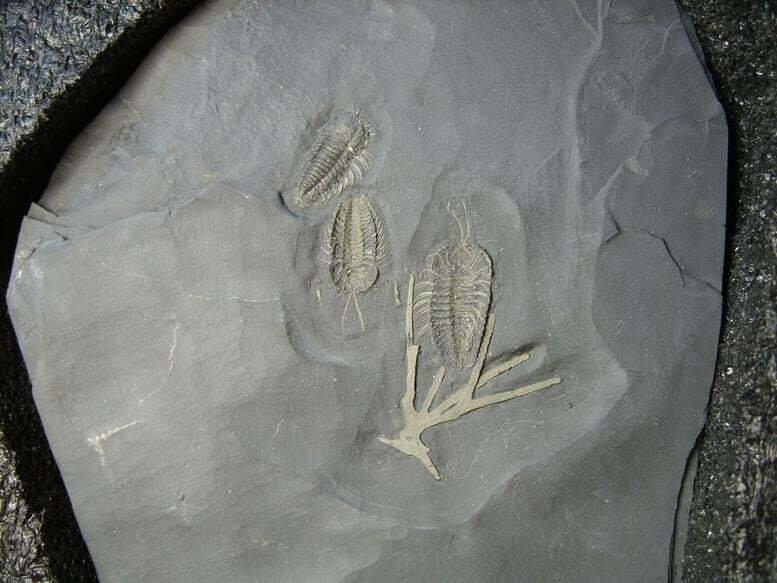 Absolutely a “Must Have” for any serious Trilobite Collector ! Excellent Quality -” LARGE SIZE FOR THIS LOCATION”- Amazing Specimen !!! 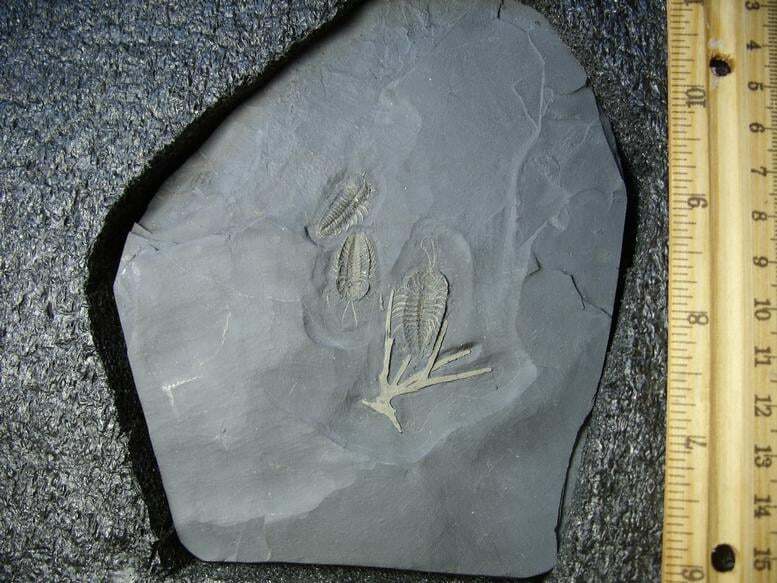 The actual specimen is Far More Impressive & better than the photos show! SUPER MUSEUM QUALITY 10++++++ The Best You will ever see of these specimens!